Natalya and I typically dress our salads with just balsamic vinegar and extra virgin olive oil, but we started experimenting with making our own dressings such as Lemon Vinaigrette. Here is a great vinaigrette recipe from Kei Kurobe infused with curry and and mixed with golden raisins. I originally made this to served atop my Roasted Beets but have also enjoyed using it to dress salads. My favorite salad to make is inspired by Tom Colicchio’s Roasted Beet Salad from his craftbar and ‘wichcraft restaurants. 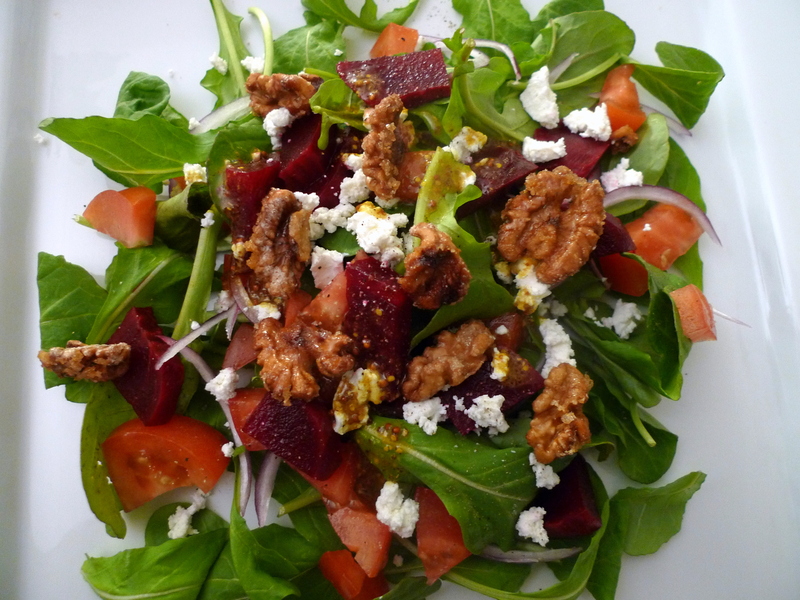 The dish has changed up a bit since then, but the original salad I always used to order had roasted beets, argula, goat cheese, and candied walnuts. I also add red onion and tomatoes. Now craftbar serves the roasted beet salad with endive, goat cheese, pistachio and orange purée which also sounds fantastic and I may need to replicate soon! I think the Curry Vinaigrette gives this salad a nice Southeast Asian flair to it, although the Lemon Vinagrette or a fruit-based dressing would also work well. Bring oil to a warm temperature (not too hot) in a small pan. 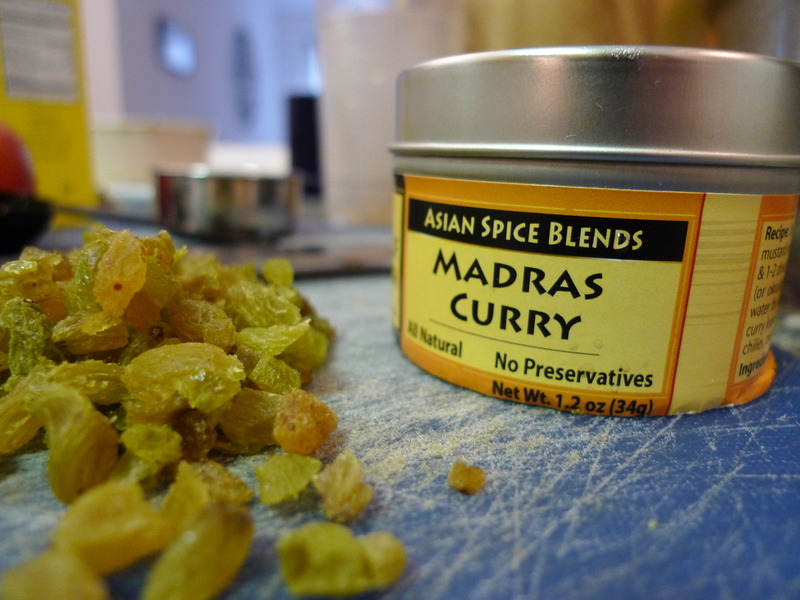 Steep curry powder in oil and let the mixture cool. In a medium mixing bowl, add the vinegar, Dijon, salt, and pepper and whisk. Slowly whisk oil mixture into bowl until emulsified. Add roughly chopped raisin. 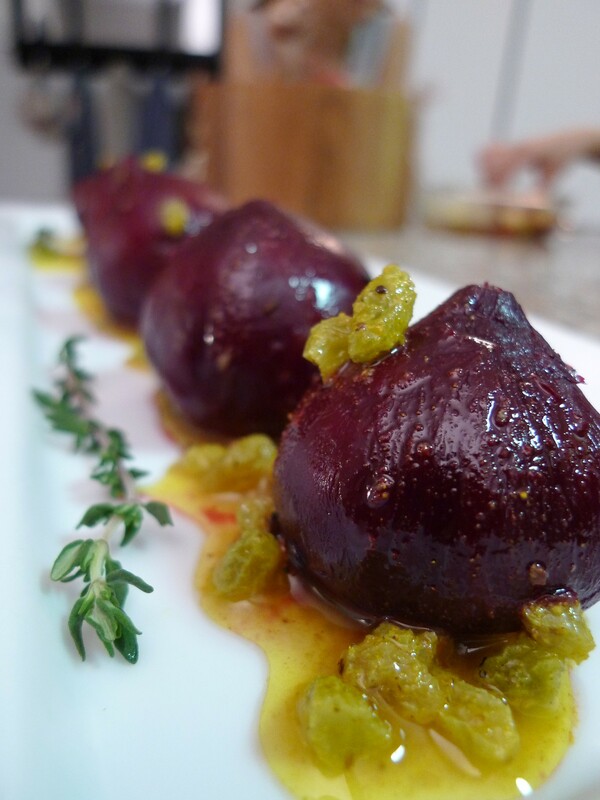 Toss the roasted beets with the curry vinaigrette for a flavorful combination. Try serving with Whole Roasted Beets or as a salad dressing!